The city of Portland and its surroundings, including the islands of Casco Bay, have inspired a wide range of art over the past 200 years. The “city by the sea,” as Longfellow famously called it, has been a visual talisman for a host of artists, from early masters like Harrison Bird Brown and John Bradley Hudson to a remarkable roster of contemporary painters. 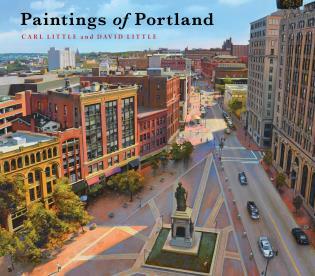 Subjects include many of the city’s signature buildings, including the Custom House and Portland Head Light, as well as street scenes, the waterfront, harbor, back bay, and surrounding landscapes—even the Million Dollar Bridge. Paintings of Portland will feature a wide range of motifs, in all seasons and represented by an array of styles. About a quarter of the book will be devoted to historical pieces, the rest to paintings by contemporary artists.